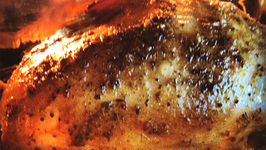 Holiday Turkey time at the Cooking Outdoors house. 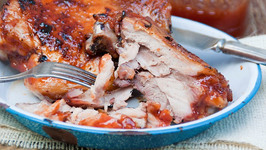 A perfect primer for the new griller or smoker at home looking to smoke their first turkey. 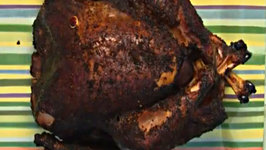 On this video I show you how I smoke a all natural turkey on the smoker with apple wood. 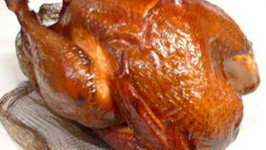 The turkey was brine for 24 hours in apple juice, oranges, ginger, and cloves. 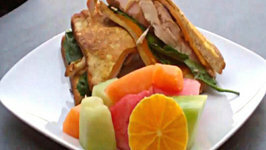 This weekend I did a smoked turkey Monte Cristo on the Weber. This was my very first time ever smoking anything on a Weber and I must say I'm hooked. 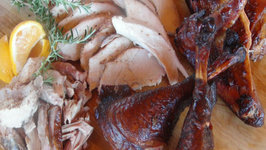 An easy recipe for smoked turkey. 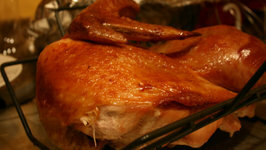 This video explains step by step how to brine the turkey, smoking temperatures and a great maple syrup bourbon glaze. Ive developed a method to fend off the chewiness of smoked skin and ensuring that the meat doesnt dry out.